The Mazda 3 has a special place in my heart. The first generation Mazda 3 was the first car I purchased with my own money and it was perfect for what I needed at the time. It was a good looking car with a classy interior. It was both fun to drive and practical to use as a daily commuter. Most importantly, it was affordable for a young man fresh out of university. 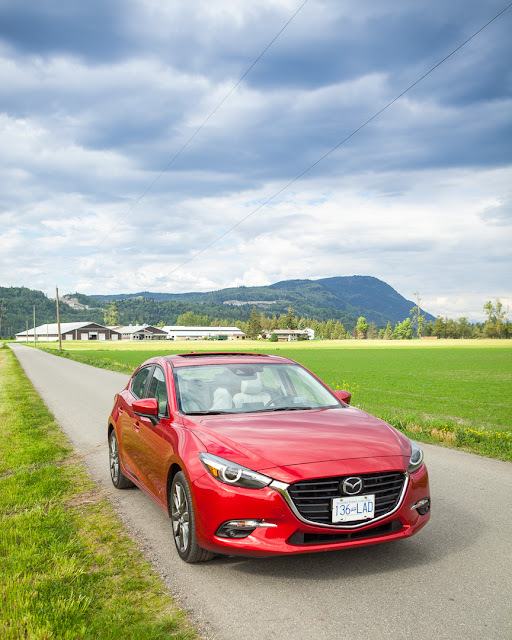 Fast forward to 2018, courtesy of Mazda Canada, I was given the chance to test drive the new Mazda 3 sport in the top GT trim with the Technology package. 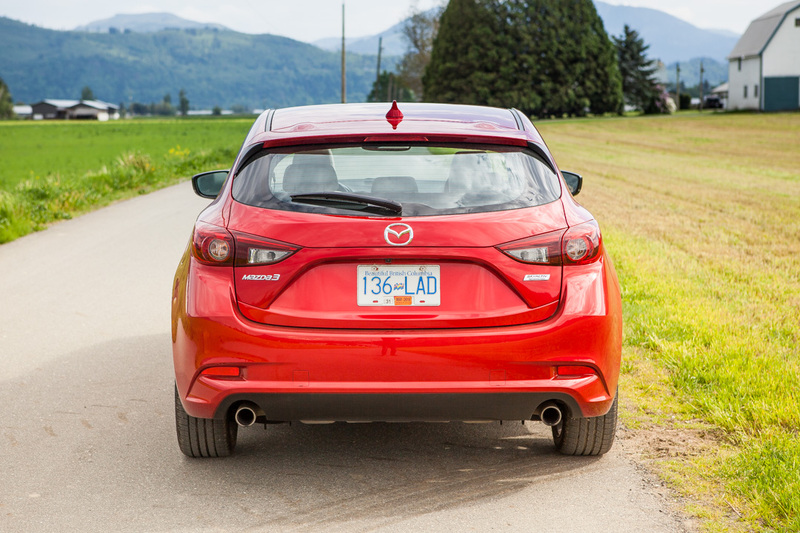 It is the third generation Mazda 3 and I was very excited to see how it has improved through two generations. In any angel, the 2018 Mazda 3 is a beautiful car. While the first generation Mazda 3 looks more rugged, this generation looks more elegant and polished. The front fascia of the car looks aggressive and complements its long nose to achieve a sporty look. 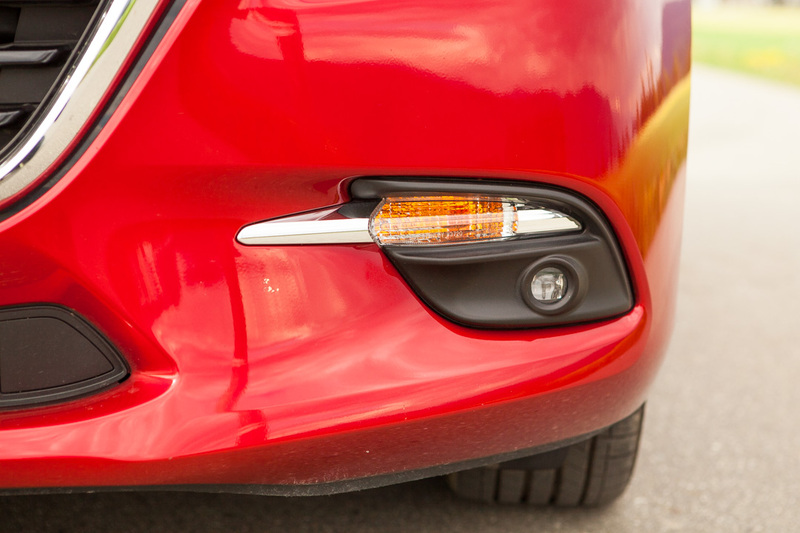 The slender LED headlights look sharp with the halo angel eyes, which you can also find in its taillights. On the side, crisp character lines highlight the beefy wheel arches for a muscular look. A raising lower crease breaks up the side panels and makes the car look lighter and more spirited. The 10 spoke gun-metal rims remind me of aircraft turbines and match the look of the car perfectly. 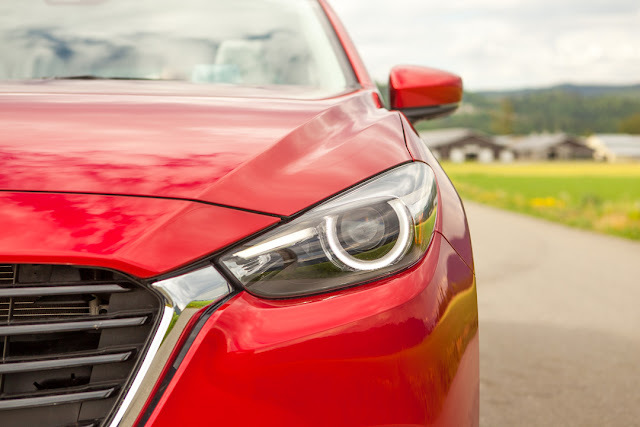 The exterior of the 2018 Mazda 3 looks more like a carefully crafted sculpture than a car. It certainly stands out in the segment and looks much more expansive than the price tag. 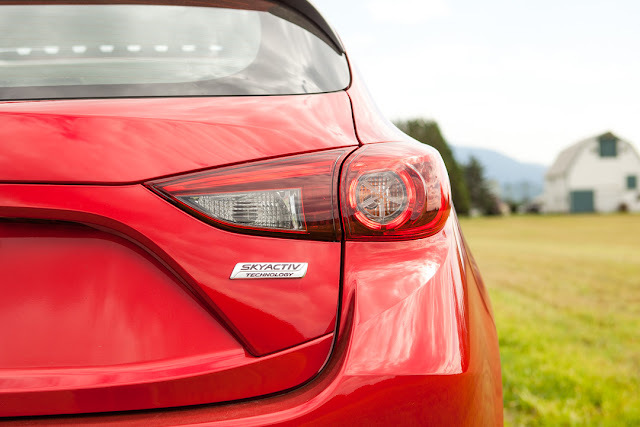 Mazda has achieved a perfect balance between sportiness and elegance with the Kodo Design Language. It is a look that can be appreciated by all genders and age groups. 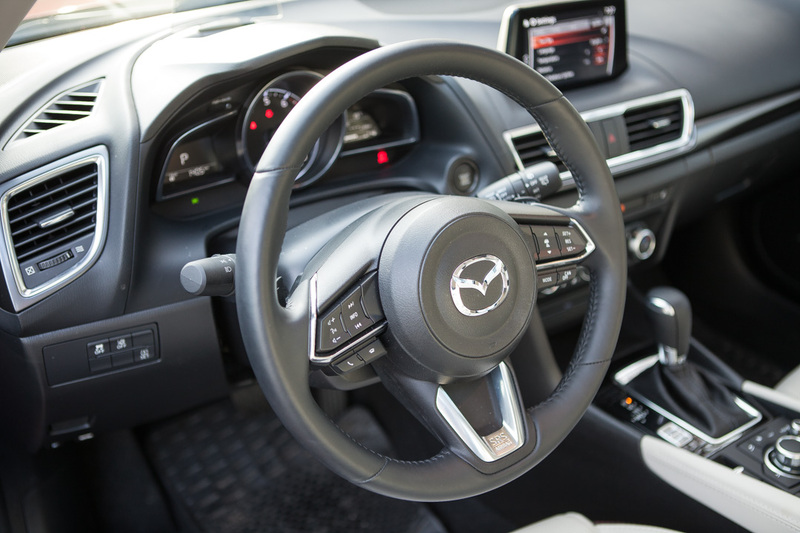 The interior is where the Mazda 3 has made the most gain in my mind. The two toned black and white interior looks premium and classy. Soft-touch materials are used throughout. Where there are hard plastics, they are textured tastefully and looks premium. 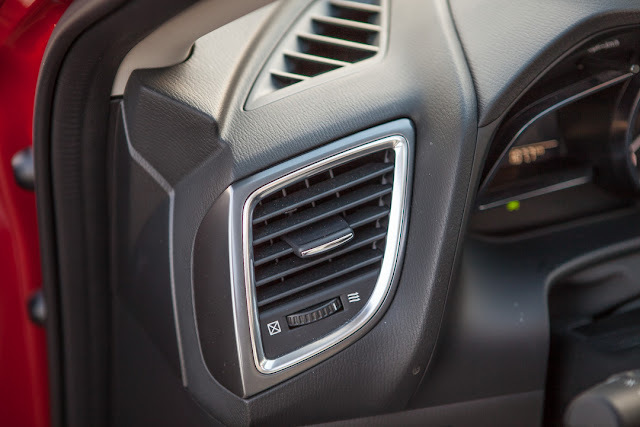 Aluminum accents around the air vents as well as around the door handles are sculpted to look expansive. Honestly, if the Mazda logo on the steering wheel is covered, we could easily think that we were in a luxury German car. The only complaint I have with the choice of material is the piano black plastic panel around the shifter. It is a fingerprint magnet. 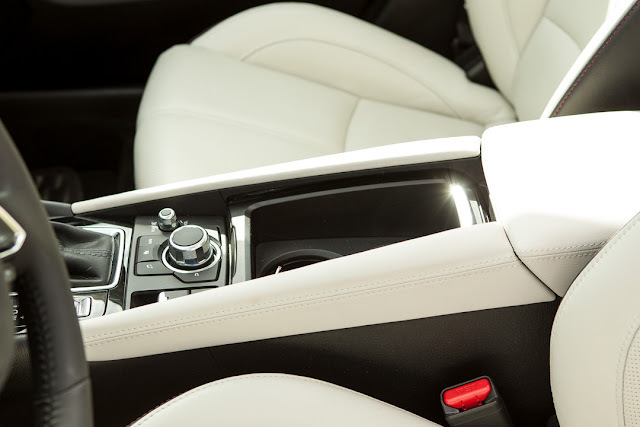 The black and white leather design of the seats looks beautiful and contemporary. It is not only good looking but also very comfortable to sit in with ample lateral supports. Both front seats are heated, so is the steering wheel. 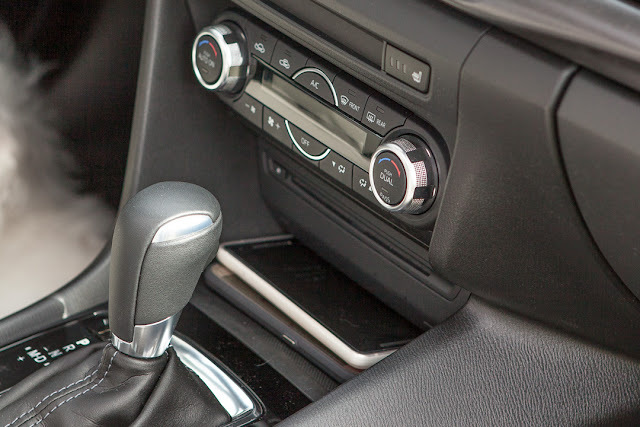 I do wish the center armrest extends forward more, as in its current position, my arms would be resting on the cup holders when holding the shift stick instead. I would also like to see a power-adjustable front passenger's seat in the GT trim. The rear seat leg room is just adequate but on the smaller side. Taller passengers might find their knees pushing against the front seats. 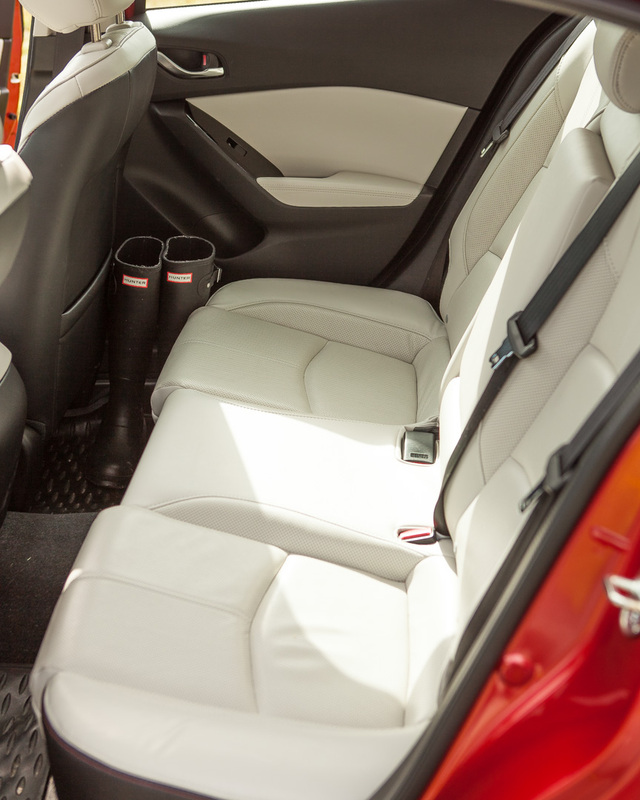 There is a sturdy center arm rest in the back, and the white leather rear seats are just as comfortable as the ones in the front. 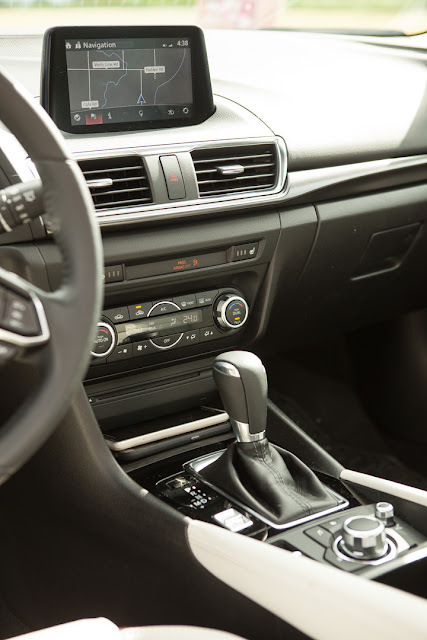 The 7 inch touchscreen infotainment screen is sharp and positioned high enough so you will not need to take your eyes off the road to see it. 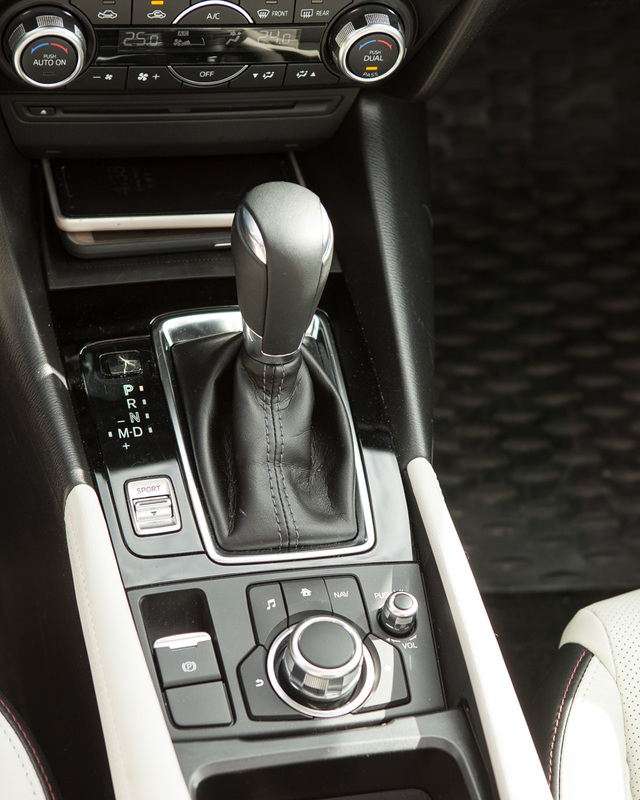 The center control dial behind the shifter is very similar to that of Audi and BMW, and it is intuitive to use. 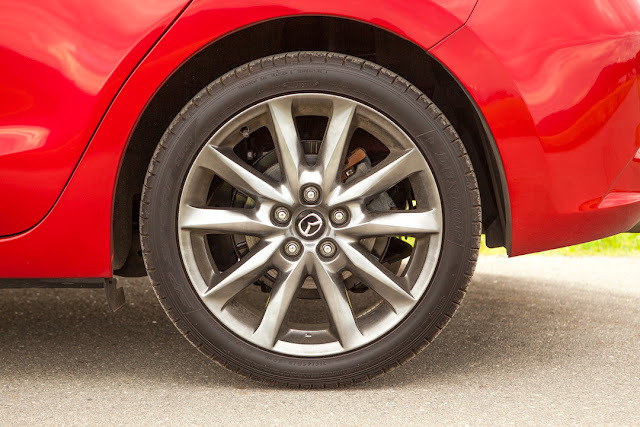 Mazda opted to incorporate an electronic emergency brake instead of the pull-up handbrakes we found in the CX-3. Not only does it save some previous space in the center console, but it also makes the car feel even more premium. 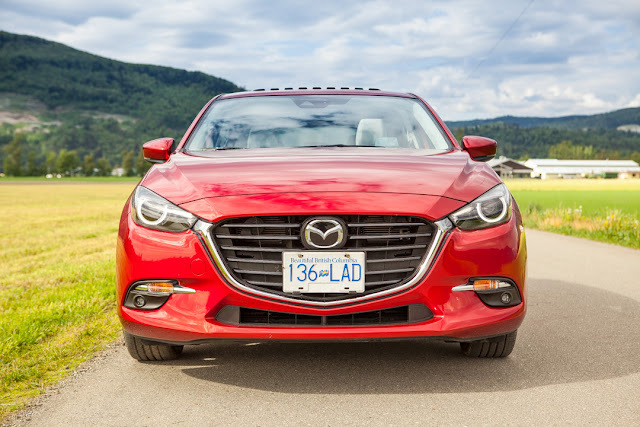 One area that Mazda has fallen behind is with the integration of Android Auto and Apple Carplay. The response time of the software interface will also need to be improved along with a simpler menu structure. 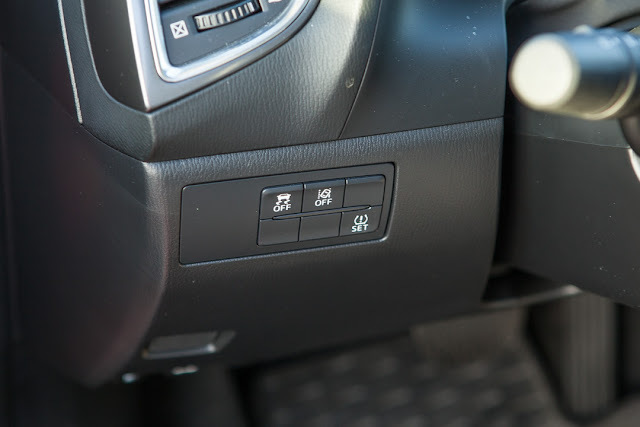 The controls of the climate system is organized in a clean and minimalist way, so is the instrument cluster. 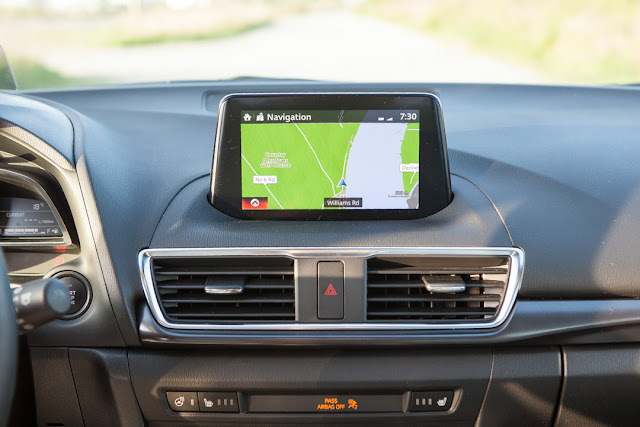 Although the cluster is not as fancy as some of the electronic ones, it is very intuitive and easy to navigate with the controls on the steering wheel. The 9 speakers Bose stereo system that comes with the GT sounds amazing, and can be appreciated with a now quieter interior. The 2018 Mazda 3 has an impressive selection of standard and optional safety features. It earns 5 star safety rating from NHTSA and Top Safety Pick+ from IIHS. Both are the highest ratings from the agencies. 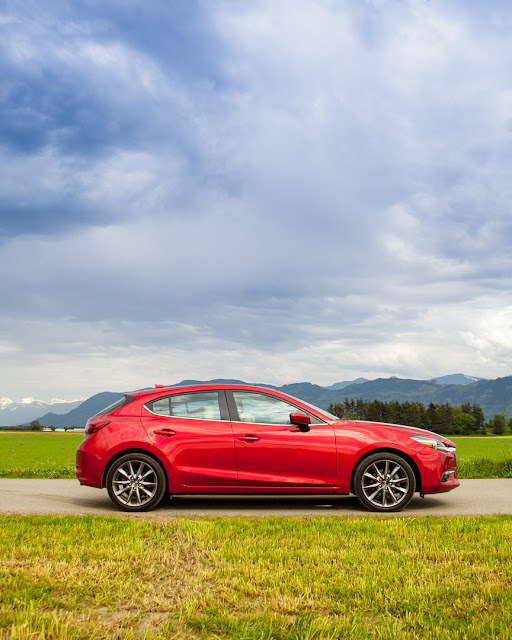 One of the reason why I love my first generation Mazda 3 Sport so much was the way it drives, and I am happy to report that the 2018 Mazda 3 has continued to impress in that regard. 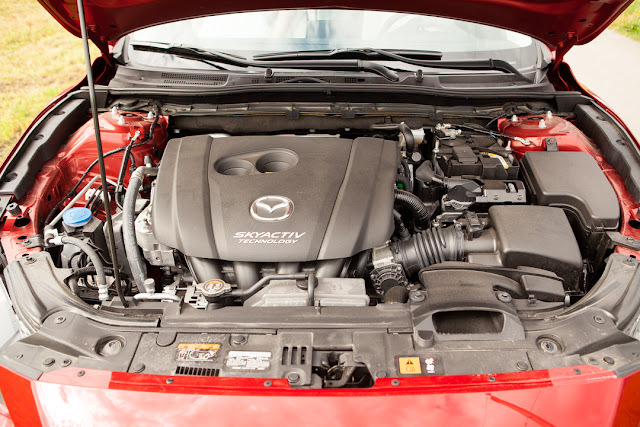 The SKYACTIV-G 2.5L inline 4-cylinder engine produces 184hp of power at 5700rpm and 185ft-lb of torque at 3250rpm. 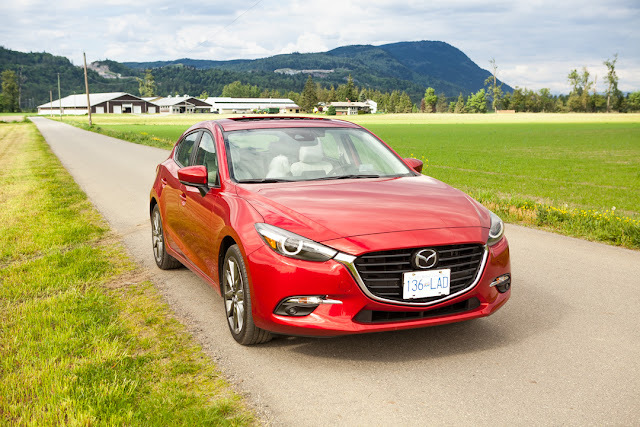 While many in the segment have embraced turbocharged engines for their top trim models, the naturally aspirated engine of the Mazda 3 is just as responsive and peppy on regular gas. 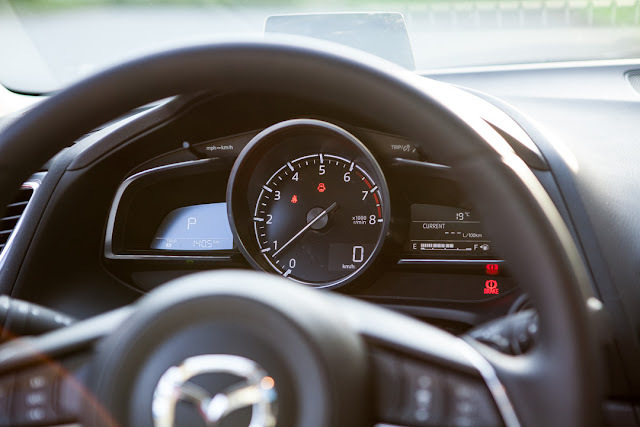 The 6 speed automatic transmission of the 2018 Mazda 3 is excellent especially in sports mode. In the regular mode, the car can feel slightly sluggish off the start to improve fuel economy. However, the transmission becomes much more responsive and predictable once in the sports mode. It also doesn't hold the engine rev too high as in some other cars' sports mode. If it is up to me, I would just leave it in sports mode all the time. The steering and handling of the Mazda 3 are sublime. The G-Vectoring Control plays a roll in improving vehicle stability in the corners. As a result, the car feels light and comfortable on the straight, and nimble and composed in the corners. maximize a smooth interaction. The result is a brilliant driving experience with excellent man-machine dynamics. I have to admit that I was pretty heavy footed during our test drive. Even so, we were able to achieve a fuel economy of 8.4L/100km. The fact that Mazda is able to achieve this kind of fuel economy without resorting to a turbo charged engine is very impressive. The 2018 Mazda 3 Sport offers the practicality of a hatch back. 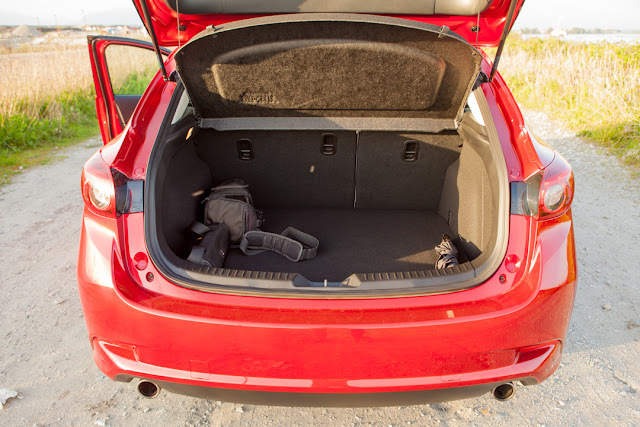 The cargo volume in the trunk is 572L with the seat up and 1,334L with the rear seats folded. Loose-item storage in the cabin is average. I like the sliding cover for the center cup holders, which can double as an additional center storage. 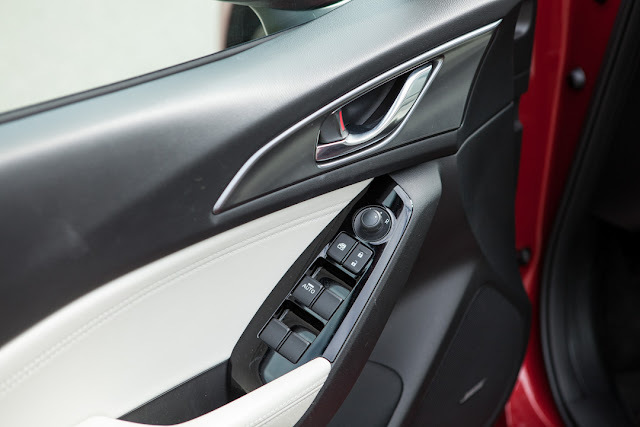 There is more storage under the center armrest and plenty of space in the side pockets. Personally, I would opt to remove the CD player and add a few more charging ports as well as more storage space to the center front console. 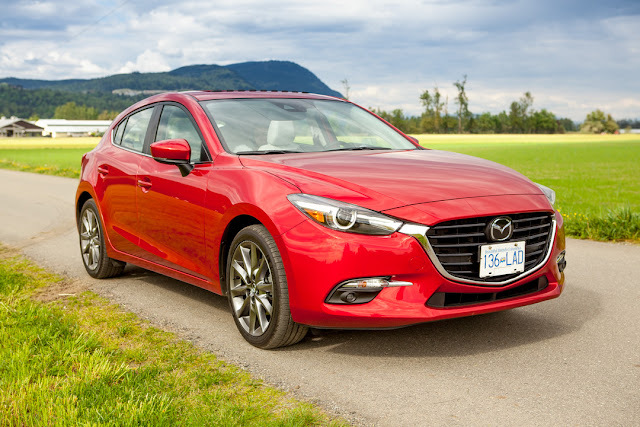 So how do I like the 2018 Mazda 3 Sport GT? In a nutshell, I love it! It may not be the fastest car, nor the most spacious. But it is practical, beautiful inside and out. It is an extremely safe car with ample safety features, and the price is right. Most importantly, I love the way the 2018 Mazda 3 handles and drives. After two generations, it is still one of my favorite cars. I can't wait for Mazda to roll out their next generation SKYACTIV-X engine for this car.